I’d like to put that hammock to much better use! Lovely vignette the leaves and pine needles make. 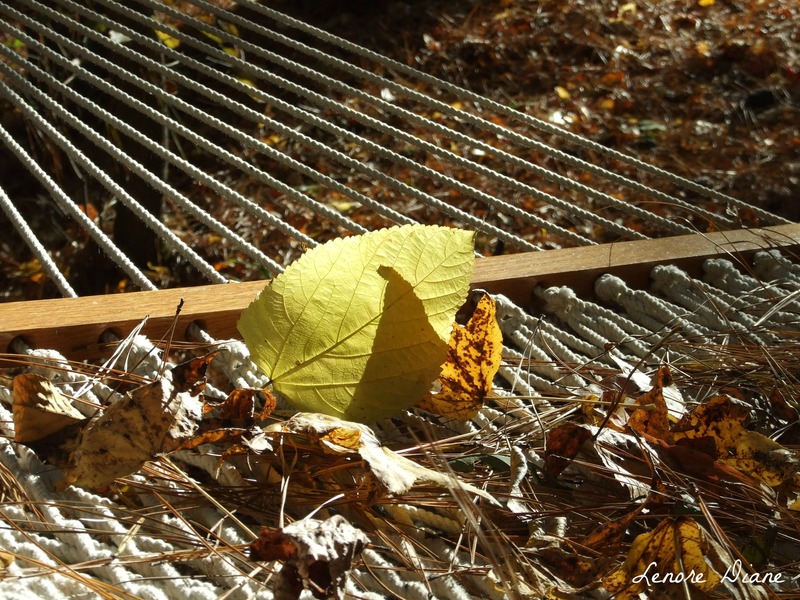 I loved the colors, though I agree … hammocks are best enjoyed by people vs. leaves. You could always flip it around and use it tomorrow. 🙂 We won’t tell anyone. Ha! Trickery on Halloween… I like the idea.